The Darrang district administration in cooperation with the Samagra Siksha Abhiyan (SSA) and Mangaldai College has created a record in organizing a three-day residential students’ summer camp titled ‘Students Carnival’ for the first time in the district. ‘Let’s celebrate learning’ – with this different idea towards exploring the hidden talents of the class VIII & IX standard meritorious students studying in rural Assamese medium government run schools in Darrang district, the camp also aimed to provide them a platform for capacity and career building with the close interaction to senior bureaucrats, academician and experts in their respective field. With the participation of selected 150 students from 30 schools and 15 teachers as ‘mentors’, the summer camp ceremonially got off to a start at Mangaldai College on Wednesday. In the first day the carnival, several prominent persons of the State including Professor of Economics at Sam Houston State University in USA, Dr Hiranya Kumar Nath , a senior IPS officer and Superintendent of Police Sreejith Thiraviam , international and national award winning young social entrepreneur and the founder of ‘Parijat Academy’ at Pamohi of Gorchuk in Guwahati , Uttam Teron among others took part. All of them closely interacted with the students and explained how language can never be a barrier for success in life, importance of dreaming and then pursuing it untiringly until it is achieved, what is effective communication skills, need of developing the techniques of warming up, brain mapping and recalling as smart study skills among others. They also cited several examples of young people from remote areas of Assam including Rubul Mahut , an US based academician and author of the book ‘Moro eta Sapon Ase’, world boxing champion Ankushita Boro , national award recipient film director Rima Das , national innovative science award recipient Archana Konwar and football sensation kid from Harisinga of Udalguri, Chandan Boro who has been undergoing six years football training among others . Earlier inaugurating the carnival amidst a festive and colourful atmosphere, Darrang Deputy Commissioner Ashok Kumar Barman has urged the students to concentrate only on learning and to respect their parents and teachers. 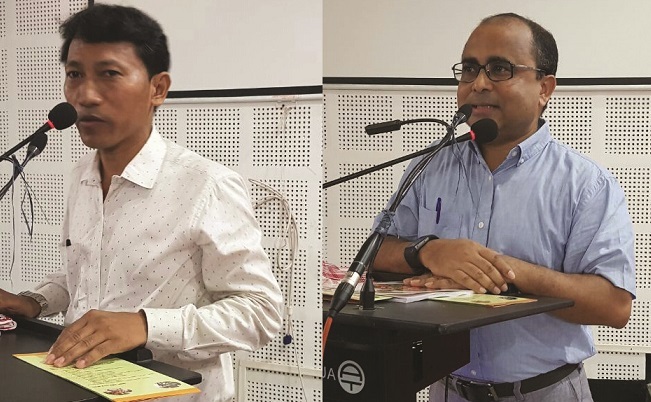 “The class room is not only the place for learning, but we can learn great lessons with the minutely observation of our mother nature,” said the Deputy Commissioner Ashok Kumar Barman. 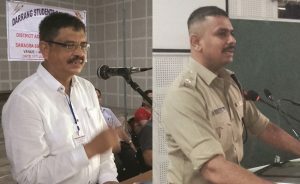 Additional Deputy Commissioner Pankaj Chakravarty who is instrumental in organizing the carnival at Mangaldai explained the purpose of the ‘Students Carnival’. Additional Deputy Commissioner (in charge of SSA) Kalpana Deka also took part in the inaugural function and offered the introductory speech. 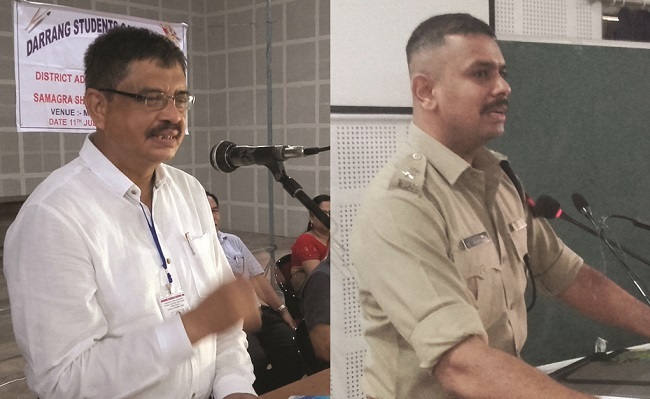 Additional Deputy Commissioner Narnarayan Nath, principal of Mangaldai College Dr Khagendra Kumar Nath, chairman of Mangaldai Municipality Board Pratap Bordoloi and teaching staff of Mangaldai College also attended the inaugural function and the interactive session. It may be mentioned here that the three-day carnival has also featured many other exciting events for the students including visit to IIT and Bio Tech Park of Guwahati , Industrial estate of Mangaldai , musical conclave , session with math magic, environment & science project , science laboratory and cultural evening among others .